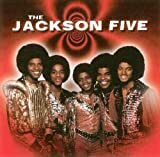 The Jackson 5, or Jackson Five, currently known as the Jacksons, are an American family music group. Formed around 1964, the founding members were elder brothers Jackie, Tito and Jermaine. Younger brothers Marlon and Michael would join soon after. They participated in talent shows and performed in clubs on the Chitlin' Circuit. They entered the professional music scene in 1967, signing with Steeltown Records and releasing two singles with the Steeltown label. In 1969, the group left Steeltown Records and signed with Motown. The Jackson 5 was one of the first groups of black American performers to attain a crossover following, preceded by the Supremes, the Four Tops and the Temptations. They were also the first group to debut with four consecutive number one hits on the Hot 100 with the songs "I Want You Back", "ABC", "The Love You Save", and "I'll Be There". Scoring 16 top forty singles on the Hot 100, after continuing with further hits such as "Never Can Say Goodbye" and "Dancing Machine", most of the group with the exception of Jermaine, left Motown for Epic Records in 1975. At that time, with brother Randy taking Jermaine's place, they released five albums between 1976 and 1981, including the hit albums, Destiny (1978) and Triumph (1980), and the hit singles, "Enjoy Yourself", "Shake Your Body (Down to the Ground)" and "Can You Feel It". In 1983, Jermaine reunited with the band to perform on Motown 25: Yesterday, Today, Forever and subsequently released the Victory album the following year. After the end of their tour to promote the album, Michael and Marlon Jackson promptly left the group. The remaining four released the poorly received 2300 Jackson Street album in 1989 before being dropped from their label. They have sold approximately 75 million records worldwide. Inducted to the Rock and Roll Hall of Fame in 1997 and the Vocal Group Hall of Fame in 1999, the Jacksons reunited in 2001 on Michael's 30th anniversary television special. Following the death of Michael Jackson in 2009, the four eldest of the brothers embarked on their Unity Tour in 2012, and planned several major performances for 2017.